My Wordless Wednesday is from earlier this week, following the 15-inches of snow that settled on us. 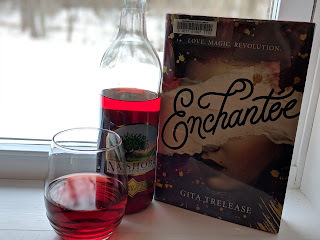 I decided to open up some local wine and start Enchantée by Gita Trelease. I love a good snow day. A little woo before work. 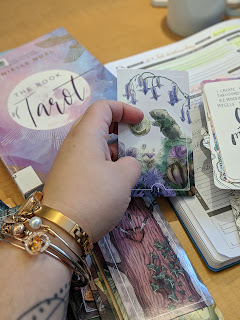 The Ostara Tarot and Danielle Noel's The Book of Tarot. ...the man was unduly annoyed at her for having the gall to aid her country without virtue of a certain appendage hanging between her thighs. 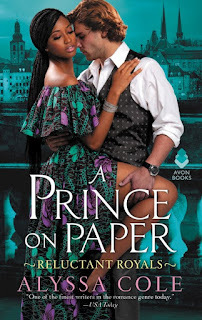 First, I will confess that a biracial romance set during the Civil War instantly made me nervous, especially since our heroine is under cover as a slave. So much could have gone wrong, and the reason I trusted it wouldn't was because of Cole. 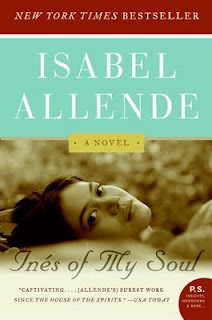 Second, all my anxieties were for naught: this book was freakin' awesome. Ellen, a former slave, has returned to the South and a life of servitude in service of Pres. Abraham and freedom. A spy with Pinkerton's group, she's been placed in the household of a high level Confederate, using her wits and eidetic memory to aid the Union. Don’t make the same mistakes that everyone else makes. Make wonderful mistakes. Make the kind of mistakes that make people so shocked that they have no other choice but to be a little impressed. 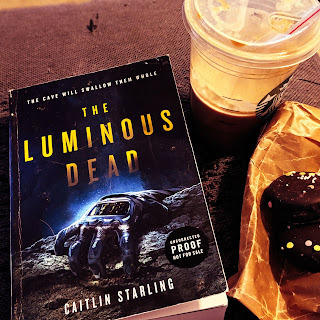 I've had this book on my TBR for forever, probably since it was released. 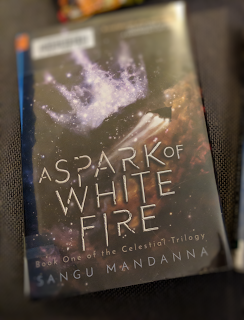 I actually started it once a few years ago, and didn't get very far, and I'll be honest -- I kind of gritted my teeth to finish this one in January so I could tick it off my list. 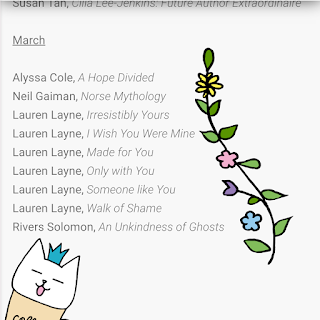 I hadn't remembered Lawson is the blogger The Blogess, so I wasn't familiar with her style of writing and tone. 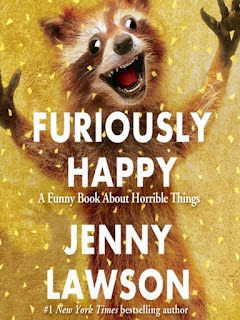 Furiously Happy is a collection of pieces (most original, some reworked blog posts) touching on a variety of topics related to her desire to try to live life 'furiously happy'. Weekend reads, hopefully just reading! 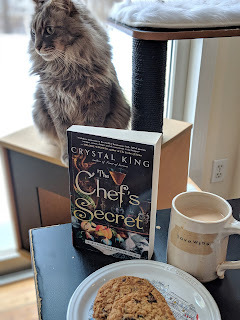 This weekend I'll be starting Crystal King's The Chef's Secret. 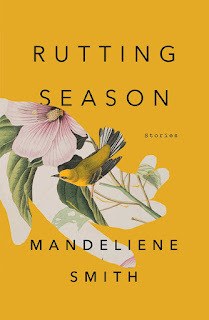 Her debut, Feast of Sorrow, made my top 10 of 2017 and I'm so excited for this one. 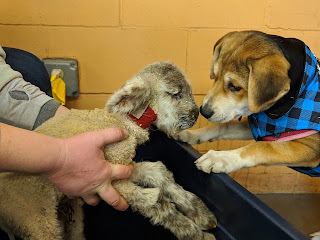 I'm hoping I'll have a very readerly weekend; my wife will likely be at the farm all weekend doing maple sugaring as well as caring for the new lambs and piglets. She did not understand his words; she couldn't even attach them to the conversation they were having, but, like an animal, she understood the tone. Not forgiveness, not liking, but a kind of permission. 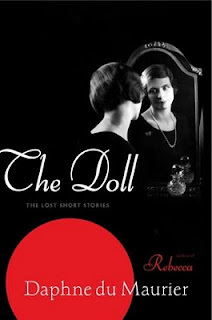 The jacket description doesn't do this volume of nine short stories justice. The stories aren't of "girls behaving badly", like we're reading about out-of-control tweens or reckless-on-spring-break coeds. The central figures in these stories are individuals crushed under intense familial pressure: death, abuse, neglect (benign and otherwise). Today's Wordless Wednesday. It's baby animal season on the farm, including the newest arrival to our family, Annie the rescue pup. She's about thirteen weeks old and appears to be mostly beagle. She's wild about the other animals on the farm and wants desperately to be best friends with the cats in our house. You can probably imagine how the cats have responded. Share a pretty view from your life today! So Natives continued to rebel, and continued to die. Natives continued to rebel and continued to be imprisoned, to be tortured, to be executed. Natives continued to rebel. Terra nullius -- "empty land" -- was the doctrine with which white Europeans used as the basis for invading Australia. It was codified into Australian law until the 1990s, but the impact is still felt. A society based on dominance, genocide, and colonization can only respond in certain kinds of ways. Coleman's novel takes us to colonized Australia. Those who remember the invaders -- now the Settlers -- are grandparents; at least two generations have been born into a world of subservience and oppression. 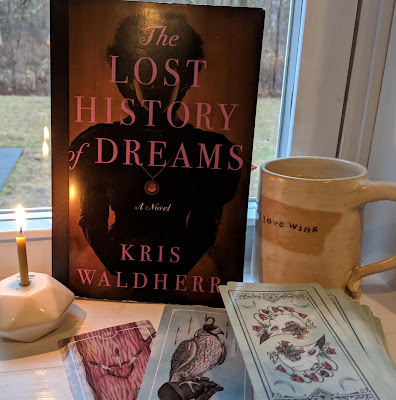 As when I first read Margaret Atwood's The Handmaiden's Tale, I struggled to understand if I was reading the past or the future; either possibility felt real. -- from "the first time"
Poetry doesn't have to be complicated or obscure. Poetry can pull out the sharp thorn of truth and hold it up in a way that would be pedantic or amateurish in fiction or essay. Poetry distills down what is so very individual into a sip that offers a brief flash of universal understanding. 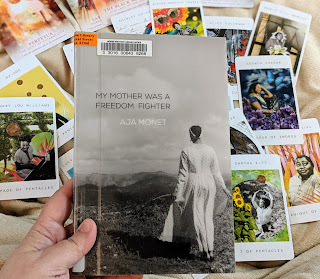 Monet's volume of poetry grabbed me with the title; it had been on my radar as one of the 2017 releases to look out for. 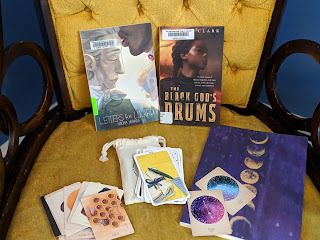 It ticked a box, too, for the 2019 Read Harder challenge. 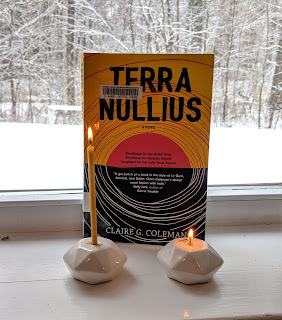 I read it in one night, gulping, then spent another two weeks moving back through the pieces slowly.